When it comes to the environment and the outdoors, there are very dark clouds casting shadows now. They will not clear – even with the departure of EPA’s Scott Pruitt, the most bizarre “protector of the environment” ever. Despite Pruitt and Company, there are silver linings on all the dark clouds. Just when you think the push for more mining and drilling in pristine places is the last straw, you find encouragement in stories about — what else, the coming demise of the plastic straw. That’s right. Starbucks, American Airlines and several hotel chains have announced that they are phasing out plastic straws. The straws make up eight metric tons of the plastic that end up in our waterways and oceans every year. Entire islands of plastic are floating in our oceans. Seabirds and sea turtles are victims of the plastic straws that find their way into the poor creatures’ nostrils and respiratory systems. Peanut the turtle. 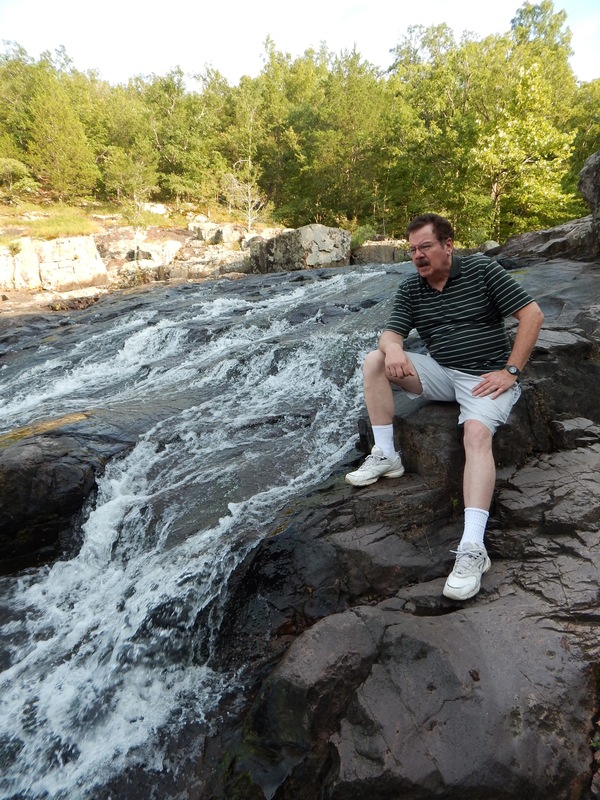 Photo by John Miller and courtesy the Missouri Department of Conservation. You don’t have to sail to the middle of the Pacific Ocean to see the damage that plastics can do to wildlife. Get a gander at Peanut the Turtle, a local reptile rescued from a terrible fate. Peanut is now safe at Powder Valley Nature Center. 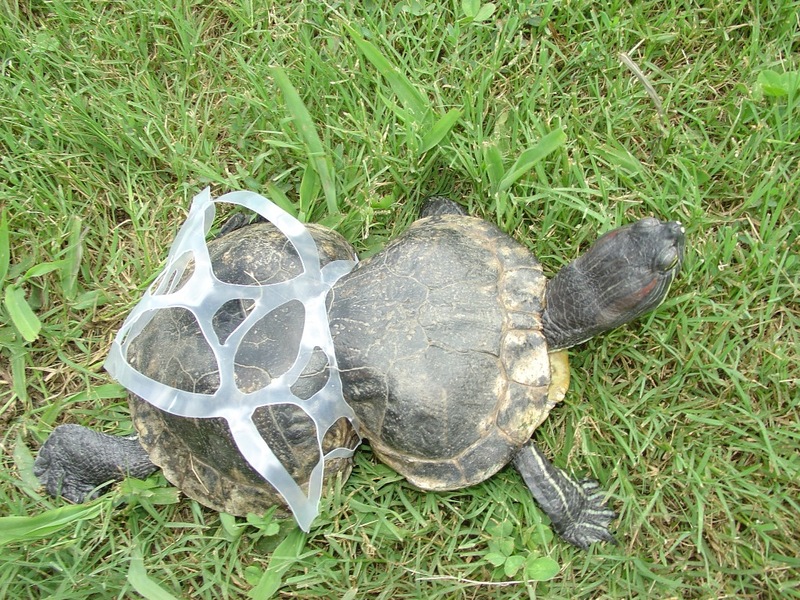 Peanut the Turtle was squeezed into an unnatural figure eight, after getting caught up in a plastic ring holder for beer cans. Kids who visit the nature center in Kirkwood can see with their own eyes just what kind of damage discarded plastic can do to wildlife in the outdoors. Informed young people, sensitive to the need to protect the natural legacy they will inherit, constitute our only real hope. They are our silver lining. We need to get them off the smartphones and video games and onto trails and paths of real life and natural experiences. There are more and more groups involved in making this enlightenment happen for the young. • Forest ReLeaf Tree Camp – kids can take a week-long camp that Forest ReLeaf started this year at their nursery. Kids learn about planting and growing trees along with birding, pollinators and other great outdoor stuff. • River Relief River Camp – kids are connected to the under-appreciated source of drinking water for half of Missouri. There’s an annual camp to get kids out on the river, to get muddy, to learn about floodplains and the value of the Missouri River. • Forest Park Forever’s Nature Works Program – this allows many urban kids to discover wildflowers and the more than 500 native plant species that can be found within the park’s nature reserves. You don’t have to enroll in a youth program to enjoy the nature reserves in Forest Park. While you are in the park, check out the small exhibit at the History Clubhouse at the History Museum. It has a floor map of the Missouri River, Katy Trail, and points of interest to visit along the river – based on the book, “Growing Up with the River.” It may just inspire a trip to the country. This entry was posted in Environment. Bookmark the permalink.